Living Trusts Created Prior to 2011. Is My A/B Trust Obsolete? Is My A/B Trust Obsolete? A revocable living trust is a valuable tool to protect and preserve your assets both for you, your children and future generations. 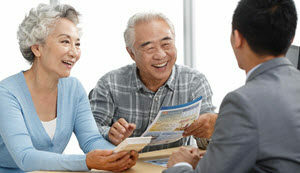 A living trust can help you avoid the unnecessary costs and delays associated with Probate and can help you minimize or avoid estate and inheritance taxes. Like any plan, your living trust should be reviewed periodically to ensure that … [Read more...] about Living Trusts Created Prior to 2011. 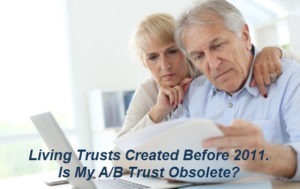 Is My A/B Trust Obsolete? Is a Living Trust a Public Record? This seems to be a very common question. Many clients assume that they, are and ask how they are supposed to go about recording them. The answer in fact is the opposite. Living Trusts are not required to be recorded, are not designed to be recorded and in nearly all circumstances should not be recorded. One of the benefits of having a living trust is to ensure privacy by avoiding the public … [Read more...] about Is a Living Trust a Public Record? 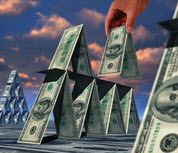 Are All Grantor Trusts Revocable? 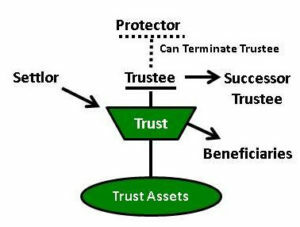 Most, but not all grantor trusts are revocable, but all revocable living trusts are grantor trusts. 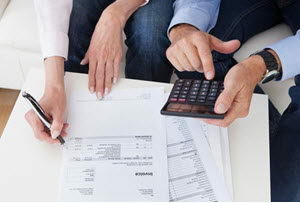 Generally speaking, a grantor trust status does not hinge on whether a trust is revocable or irrevocable, but whether the grantor is responsible, in whole or in part for taxes on the income produced by the trust assets. There are a number of myriad features of grantor trusts, but this is its … [Read more...] about Are All Grantor Trusts Revocable? Can An Irrevocable Trust Be Amended? One of the defining features of an Irrevocable Trust is that it cannot be amended, either at it’s outset, or at the occurrence of a specified event, such as the death of the Grantor. Sometimes an irrevocable trust contains the ability for it to be modified through the use of a power of appointment. 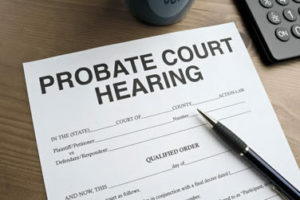 A power of appointment is a specific power granted usually to a surviving spouse or a … [Read more...] about Can An Irrevocable Trust Be Amended?